I tried to resist the urge, but I’m a “blogger” so I can’t. The urge I’ve been resisting is to sound off on the recent death of Whitney Houston. I don’t have a problem with people voicing their opinions, but I do have a problem with people disrespecting the memory of a human being with insensitive jokes. Every time a celebrity passes away, the masses take to social media to express their condolences and a few attempt to crack jokes. I always wonder how they would feel if someone made a similarly insensitive joke to their loved ones after their death. What are they actually gaining from the remark? After all, no one is perfect and even though we may try to forget them, we all make mistakes. Celebrities just have the disadvantage of having their business broadcast to the entire world. I never personally knew Whitney Houston, so I will not comment on her personal life. She never said anything bad about me, so I will pay her the same respect. And yes, she probably had no clue that I existed but I’ve always struggled with the idea that just because someone is an artist we can ridicule every aspect of their life. They’re still human. They breathe air like you and me and will die when their time comes. I won’t repeat any of the remarks that I’ve seen over the past 12 hours and that will undoubtedly continue over the coming weeks because I don’t believe in giving credence to tomfoolery. But I will say that Whitney Houston had one of the greatest voices ever heard in the world. No one can deny this. If you don’t believe me, then wait for the Grammy Awards show performances tonight and all subsequent tributes to her and how the singers will attempt her songs but fail to encompass her aura. P.S. 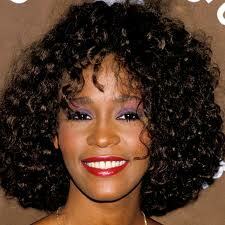 My favorite Whitney song is The Greatest Love of All because I decided long ago never to walk in anyone’s shadow. What’s yours? Mine is I Will Always Love you. I always get the chills listening to the range of her singing voice. It is so fluid. It’s sad that she’s gone. nevertheless, she has left us great songs to listen to, now and for all eternity.